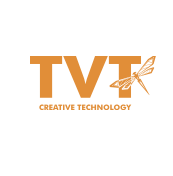 London, 22 June, 2015 – TVT, the leading independent media services and post-production house, has published a report outlining the importance of preserving the archive in the new digital age. The paper, entitled “The Value of History: Archiving in a Digital Age”, details the challenges archivists face as medias degrade and demands for easier access increase. With video set to dominate the next century, archivists need to prepare for a digital future. Data from UNESCO suggests that over 95% of the6250 archives it surveyed had reported significant losses, while the British National Archives notes that for every one document or video viewed in its reading room in London, a further 200 are distributed via the Internet. With drivers for archive digitization stronger than ever, TVT examines and highlights the changes needed to successfully preserve the archive in the digital age. Using a real world example, TVT shows how a successful digitization project has helped a major national archive in Asia create one of the region’s largest searchable resources to help maintain the collective memory of a nation for current and future generations. Investigating the Archive: Video is set to dominate the next century and digitization and computerization is imperative in order to preserve the archive. Yet before restoration can even begin, an investigation in to the condition of archive storage, such as temperature, light and humidity, must take place. The stored metadata attached to each item must be understood and each tape needs careful inspection. Preparing the Archive: Sometimes tapes need to be baked in a special oven to remove contaminants with each batch, requiring different temperatures, duration and cooling conditions to prepare digitizations. A single reel of tape may go through a 30 hour man-process before it even gets to the digitization process.